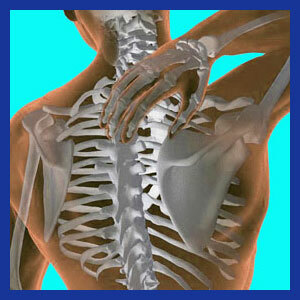 Recovering from neck pain is a very similar process to recovering from any other type of chronic condition. In most cases, in order to get better, the patient must have achieved an accurate diagnosis and found appropriate treatment for the actual source of pain. Some lucky patients simply recover without any treatment at all, while others languish in misery for decades or even entire lifetimes. The moral here is that when it comes to back and neck pain, you never know how the experience will change you and affect your life, since statistics for lasting cures are grim and a simple ache or pain can turn into complete disability in a matter of weeks. This essay provides some guidance for patients who are anxious to recover from acute or chronic symptoms in the neck. Neck pain is most often blamed on 2 structural issues in the cervical spine: degenerated and herniated discs or spinal arthritic osteophytes. It must be noted that both of these very different conditions are generally diagnosed as causing pain through the processes of spinal stenosis or foraminal stenosis. It must also be mentioned that DDD, bulging discs and spinal arthritis are virtually universal in the cervical spine, especially at C5/C6, C6/ C7 and C7/T1. Finding these traces of degenerative evidence in the MRI results of adults is often the rule; not the exception. Furthermore, clinical research shows little, if any, correlation between these spinal abnormalities and the incidence of neck pain. Therefore, when blame is mistakenly placed on these coincidental spinal irregularities, and treatment rendered, it should be no surprise that the patient does not recover. After all, when the diagnosis is wrong, any therapy will fail miserably. It is for this reason that patients who pursue many treatments for the same condition, without finding relief, are often misdiagnosed. Unfortunately, many do not see the logical truth of this and continue to charge forward, looking for ever-more invasive and dangerous fixes for their pain. The neck is the second most prevalent location for dorsalgia to occur, beaten only by the lower lumbar spinal zone. The neck is an anatomical structure which must constantly work hard to enable movement of the heavy head, and to worsen matters, the spinal components here are the thinnest and weakest in the entire vertebral column. The neck is a location where structural issues, such as those noted above, can indeed source chronic pain, as well as related neurological symptoms in the upper body, lower body or entire anatomy. However, accurate structural diagnosis usually results in successful treatment and resolution of the neck pain symptoms. Being that statistics clearly reveal that most treatments fail, it is not difficult to ascertain the probable reason. Misdiagnosis is rampant and one of the primary causes of the back and neck pain epidemic currently plaguing our healthcare industry. In order to recover from a neck injury or degenerative condition, give yourself a fighting chance. Do not sit idly and allow others to make crucial life decisions for you without taking an active role in your own destiny. To do this, we suggest that you learn everything possible about the suspected sources of your pain. Also, research potential treatment options and discuss the pros and cons of each with at least 2 or 3 doctors. Do not simply allow one provider to do a test, tell you that the pain is caused by (insert diagnosis here) and perform whatever sort of treatment they wish. This is statistically a recipe for chronic pain and prolonged suffering. Injuries must heal and heal they will. It is the body’s prime imperative. Degeneration will continue throughout life and treating it is usually a frustrating and all-together unnecessary battle, since it is, after all, quite normal. Previous surgery is an often overlooked source of chronic neck pain. Prior operations on the spine have a tendency of failing, regardless of their objective or scope. In timelines of 7 years, the vast majority of conditions treated surgically in the spinal return, escalate or completely debilitate, usually resulting in more invasive treatment and an ongoing cycle of torment. Learn the facts of neck pain and become your own advocate. Do not be yet another voiceless pawn of a money-hungry medical juggernaut. 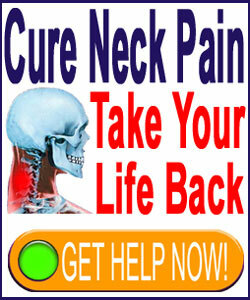 Our proven pain relief program has helped more patients to recover from neck pain than any other. You can access it immediately from anywhere in the world 24 hours a day for fast help.